The BioSpectroscopy Core Research Laboratory (BCRL) will be undergoing construction this summer. Construction will begin on May 11 and is anticipated to conclude on July 30, 2018 (for standard confocal imaging) and August 10, 2018 (for time-resolved fluorescence microscopy applications). The Zeiss 880 confocal microscope with PicoQuant time-resolved upgrade, which is housed in Skaggs Building 060B, will be off-line for standard confocal imaging from May 11 until July 30, 2018. As an alternative, the Olympus FluoView 1000 confocal microscope will be available during this period. Please check with Lou Herritt (406-243-2225 or lou.herritt@umontana.edu) for schedule availability. The PicoQuant MicroTime 200, dedicated to fluorescence lifetime applications (FLIM, FRET and FCS), also will go off-line May 11, 2018. Both the Zeiss 880 and MicroTime 200 will be back on-line for time-resolved fluorescence microscopy applications by August 10, 2018. 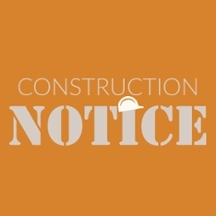 We will continue to provide construction updates on the CBSD web pages.